What the Internet has become…. Despite my general fondness for the twentieth century over the present one, I do—and always have—loved the Internet. I first dipped my toes into the online world in early 1998. I was immediately hooked. That said, I have a distinct preference for the Internet the way it used to be—say, before 2004. Allow me to explain why. In 2003, there was no Twitter, no Facebook, no YouTube. Nor was Wikipedia yet the cancer it has since become, the top result in most online searches. Back then, the Internet was a vast sea of personal webpages. There were legions of Internet columnists, writing intelligently and at length from various points of view. The Internet was “diverse”—in the best sense of that word. The Internet declined in stages. Right around 2003, someone got the bright idea that everything posted online must have a comments section. According to this view, there was never a news story or essay written that could not be enhanced by the feculent ramblings of every anonymous fifteen year-old boy on the planet who can somehow finagle his way onto the Internet. The enthusiasm of online comments sections has since waned, but comments sections have been overtaken by something even more pernicious: social media. And let’s not forget video. Online video has been around since practically the beginning of the Web; but in 2002, when content was delivered in the form of video, it usually had a specific purpose. Today it is impossible to visit any news site without being bombarded by blaring, autoplaying videos. Often these videos are completely redundant recitations of the text written immediately below. The net result of these shifts is that the Internet has progressively become shriller, louder, and stupider. Mindless videos have replaced thoughtful texts. 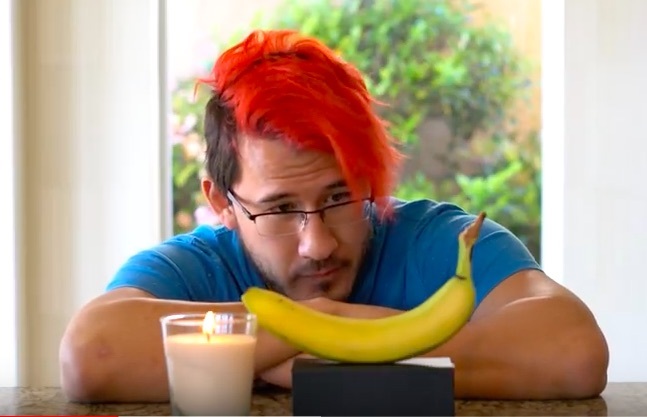 (One of the more popular videos on YouTube features an orange-haired young man doing nothing but staring at a banana.) No one has time for anything that can’t be written or read in twenty seconds. Commentators who used to blog are now spending all of their time composing off-the-cuff, 280-character tweets. The overemphasis on social media has also diminished the leverage of individual creators. Building one’s online presence on someone else’s platform is usually a Faustian bargain. As many YouTubers have discovered last year (when their accounts were suddenly demonetized), social media giants are free to change the rules at whim, and often will. For a long time, writers were building their online platforms on Facebook, and achieving substantial organic reach. Then Facebook changed the rules, too, with the aim of maximizing ad revenues. Today, if you want your posts to be seen by more than a handful of the people who have “liked” your Facebook page, you’ll have to pay Mark Zuckerberg for every view and click. Like I said, I miss the way things used to be. Back in the “good old days” of the Internet, I maintained several personal websites. These were hosted by a now defunct web hosting company called Interland, and created with a now discontinued web editing software program called FrontPage. It was a lot of fun, because I was focusing on writing for an online audience, which was my reason for being on the Internet in the first place. That is, I’ve concluded, what writers should be doing online, and social media isn’t the ideal venue for that. I wasn’t scrambling to upload YouTube videos, and then neurotically checking my view stats and “thumbs up” votes. I wasn’t arguing with that teenager from Belgrade, Serbia, who showed up in my comments section—because no website in 2002 had a comments section. I wasn’t worried about getting “likes” on Facebook posts, and following people I don’t know on Twitter. Another bad thing about social media, from the writer’s perspective: Social media demands constant interaction. This is because social media also drives a compulsive quest for approval from the Internet masses. The resultant hamster routine is a major timesink, and counterproductive to the creative process. I’m not suggesting that the creative person’s online presence should exist in a vacuum. Yes, of course, you should check your site’s stats at regular intervals. If you maintain a website with any ambitions at all, you should think about factors like SEO, site organization, and ease of navigation. You should also have an email address, posted online, whereby readers can get in touch with you. But there is a vast difference between acknowledging that there is an audience on the other side of what you are doing, and the peripatetic, minute-by-minute interactivity of social media. You probably want to maintain a mailbox, a telephone, and a doorbell at your house. You probably don’t want to knock down the walls of that house, so that anyone can walk into what is left of your living room, at any hour of the day or night. This site, Edward Trimnell Books, is unabashedly rooted in the pre-2004 ethos of the Internet. Here you’ll find long-form opinion pieces, and long-form works of fiction. There are no like buttons, no comment sections, and there will be only the occasional online video. If you like my writing, if you find my opinions worthwhile, you’re welcome to hang around. Everything posted here is completely free to read. There is no registration process, nor are you required to give me your email address. My opinions are my own, and I’m unapologetic about them. I don’t go out of my way to offend anyone; but nor am I politically correct. I grew up in the 1980s, when plain and straightforward were the default modes of speaking. As a result, I say pretty much what I think today, without regard to speech codes, or what the pointy-headed nitwits on Vox and Huffington Post have deemed to be acceptable opinions—as of this week. I’m reasonably responsive to concise and polite emails—even if you disagree with me. But as the above paragraphs hopefully make clear, I take the Seth Godin approach to comment sections. That is, I don’t have them, and I don’t believe in them. For me, writing is not a committee project. That’s my new, old-school approach to the Internet. It won’t be to everyone’s liking. That’s okay. The Internet is a big place, and there are plenty of other options if this one isn’t your particular flavor.